Draw quite often occurs in professional chess level. More often than the win of any party. Mainly it happens due to the fact that a lot of things have been studied in chess and there are even entire theoretical options that automatically lead to draw. International Chess Federation (FIDE) recently started even to fight with so-called drawish drought in professional chess. Special rule is introduced for some tournaments that draw must not be offered to the opponent up to certain move, etc. It shall be noticed that not all chess players like such rules. Well, draw in chess is the game result, which means equality of the parties. None wins, neither white nor black. 1. Material is exhausted to combat further. That means neither party is able to checkmate the opponent, due to few pieces left on board or no pieces left at all. Classic example when only the kings are left on the board. Both armies perished in the terrible fight, only monarchs left who will not be able to checkmate each other. There are a lot of options of setups when material insufficient. One party may have any minor piece left against the only king of the opponent. In majority of setups rook remains for each side; queen, etc. it's all theoretical draws. There are very few such cases in the modern professional chess. Strong chess players usually foresee such opportunity in advance. 2. Threefold repetition of setup. If the same setup is repeated three times on the board, then any party may claim a draw. This situation typically occurs when players deliberately repeat the setup each other, if draw suits them. Some players offer a draw in such "dumb" way if, so to speak, tournament rules prohibit offering a draw in "verbally". 3. Consent to the draw due to any party suggestion. There is approximate balance on the board, opponent is not weaker than you, draw suits you. In this case, it is optimal to suggest a draw to your opponent. Once one student asked me: "How can I do it?". Answer responsibly: Look at your opponent and tell him: "Offer a draw! ":) As it has been described above, such proposal is prohibited sometimes. But this rule applies only at the highest level. 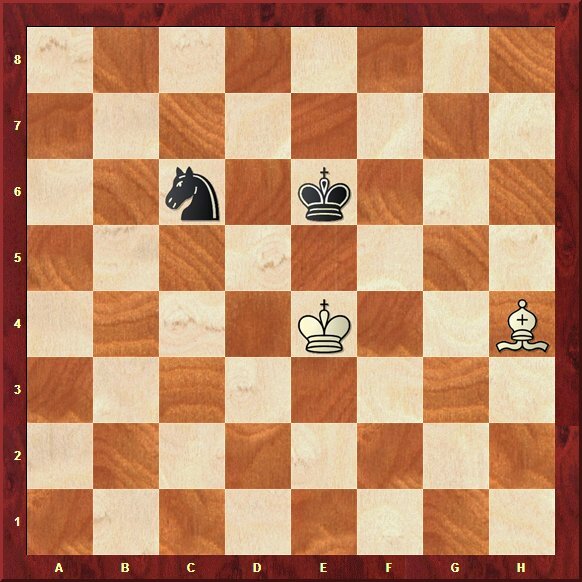 Overall, this is the most common version of draw in modern chess. Keep in mind that you can offer a draw only when your opponent has to move. If it is your turn, and you offer a draw, your opponent may ask first to make a move, and only later consider your offer. Essence of it does not change, but psychologically it's not always nice. In terms of psychology, by the way, offer a draw is a very powerful weapon. For example, if you feel that your opponent ponders any risky continuation, doubt and not quite confident in success, the proposed draw may further knock down his thoughts. But this is a topic for another lesson. Nothing is eternal in this world, but in chess there is perpetual check. Check, as we already know, attack of any piece to the opponent's king. 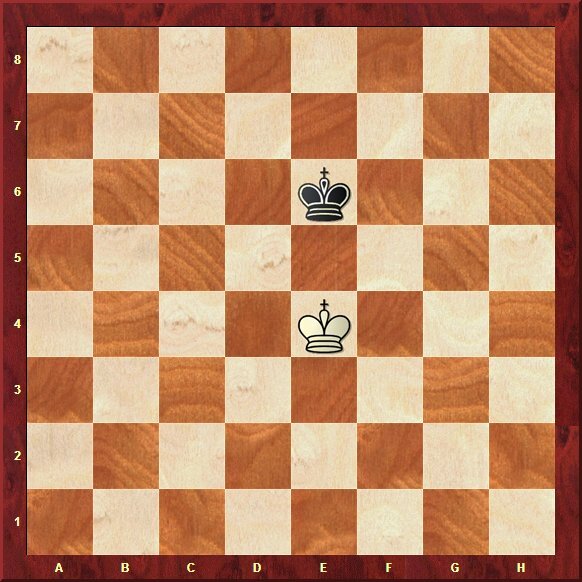 Perpetual check, this is a situation when king is checked by every next move. Thus king hiding out of attacks is not able to prevent further attack. Taking into account that moves in chess are made in turn, such checks will be endless. But none will succeed, because checkmate will not appear on the board. King is always able to escape from attack, but it will be attacked again in the next move. Such game can last into infinity. Chess players, anticipating this opportunity agree for draw. There are a lot of options of perpetual check. It is most often used to save from defeat. 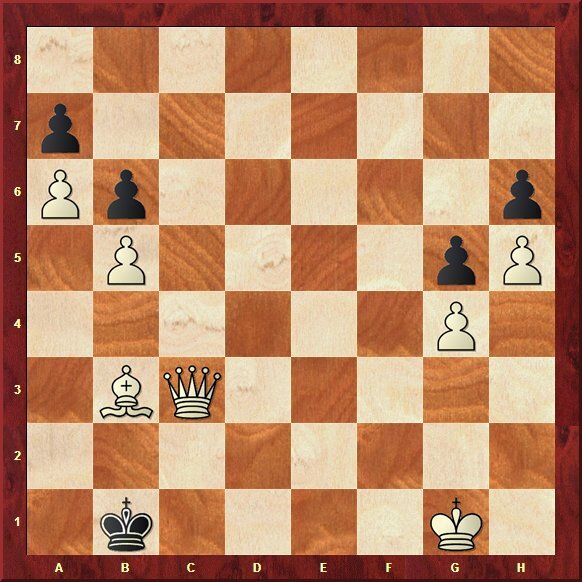 In the diagram above, white has trapped the black king and in the next move they are ready to checkmate it. 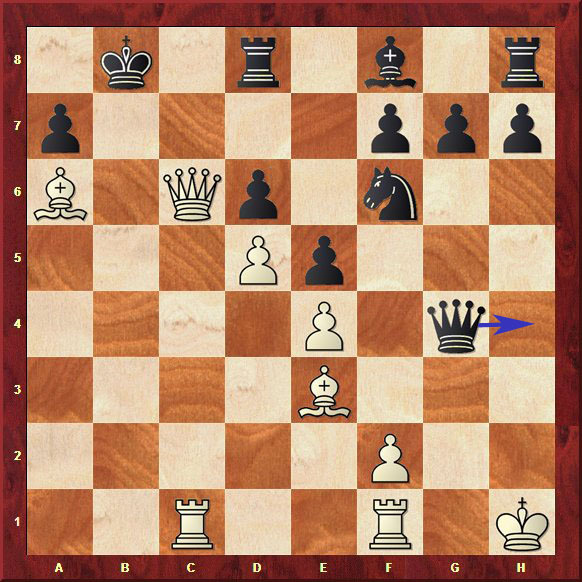 Black is not able to block against this threat, but they have to move and their queen can checkmate the white king. As we know, when one is checked it is necessary to think about protection of the king. Own threats fade to background. 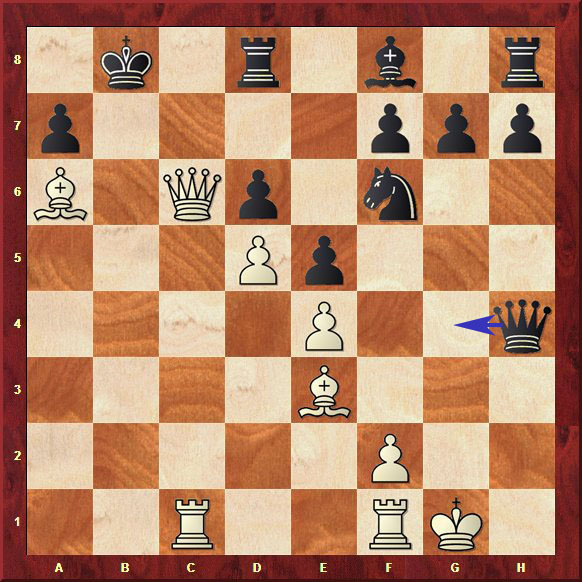 White King moves away from attack, but black queen checks again as indicated in the following diagram. Thus, perpetual check saves black from the imminent loss. Stalemate is chess situation when player to move is not in check but has no legal move. Stalemate is often used as salvation means by the loosing party. Stalemate example is shown in the setups below. Black has to move but they have no potential way to move. That is called stalemate – draw. Note that in the checkers, this situation is considered a win but not a draw. 6. 50 moves without capture and without movement of pawns. 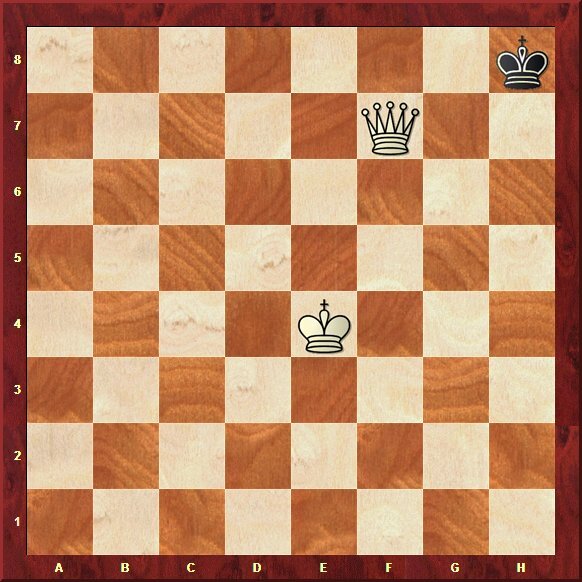 If during 50 moves none of the player has captured the opponent's pieces nor pawns moved, the game is drawn. That's essentially all that can be said about a draw in chess. Now we have to study to record chess game. That is in the next lesson.